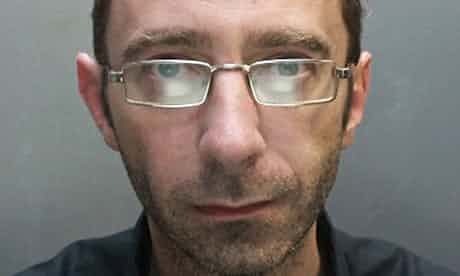 A Nazi sympathiser who planned to blow up mosques in Merseyside has been jailed for 10 years. Ian Forman, 42, from Birkenhead, was convicted of engaging in conduct in preparation of terrorist acts following an 11-day trial in March. Forman, who had a “deep hatred” of Muslims, made a list of mosques near his home, which he referred to as his “dreck ziel” – a German phrase literally meaning “filth target”. He researched how to make bombs online and tested explosives at his home before police discovered chemicals and a homemade explosive device in his bedroom in June last year, Kingston crown court heard. Forman, who expressed rightwing views on social media and spoke of his admiration of Adolf Hitler and the Norwegian mass murderer Anders Breivik, owned part of an SS officer’s uniform which he planned to display on a mannequin, the court heard. Police found a film he had made of himself wearing an SS officer’s hat while playing video games. Sentencing Forman to 10 years, the judge, Paul Dodgson, said the would-be terrorist had acted in a “racist, abusive and extremely offensive manner”. David Mason QC, in mitigation, said Forman was “not your average terrorist” and had struggled in Belmarsh prison alongside a large number of inmates from ethnic minorities. “Everything this man did was geared towards his hate towards the ethnic community,” he said. Forman came to the attention of police in April 2013 while he worked as a receptionist at a glass recycling firm in Ellesmere Port. Colleagues found that he had been researching chemicals and explosive substances on the internet during work hours – a breach of company policy. He was called in for internal disciplinary meetings, during which he claimed his research was for his hobby of making fireworks. Unconvinced, the company called Merseyside police, prompting his arrest. After the sentencing on Thursday, DS Matt Findell of the north-west counter-terrorism unit said: “Thankfully, we will never know how far Forman was prepared to go in acting out his racist fantasies. “However, we do know that Forman had carefully selected a number of targets to meet his own means. Had he carried them out, his attacks could have caused considerable damage to both property and people at several mosques. “The north-west counter-terrorism unit has extensive experience of investigating individuals and groups who hope to threaten, intimidate and attack people for their own twisted political ends.